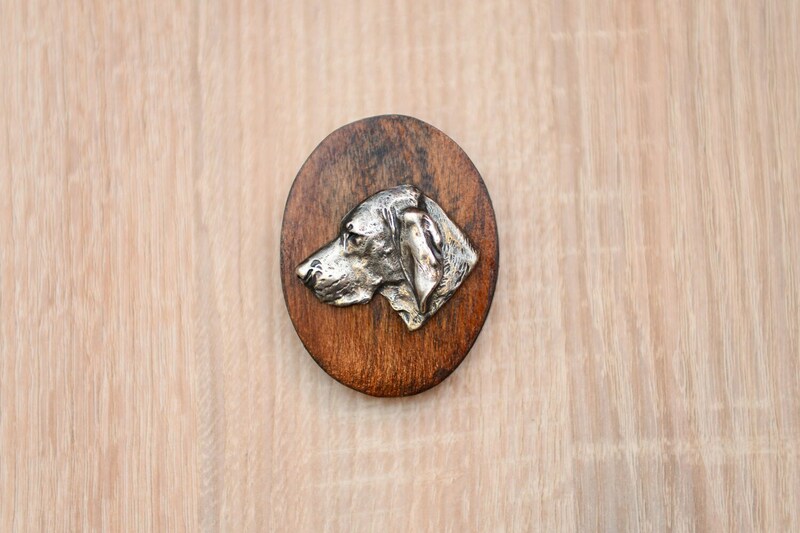 A wooden clip with metal image of a dog. 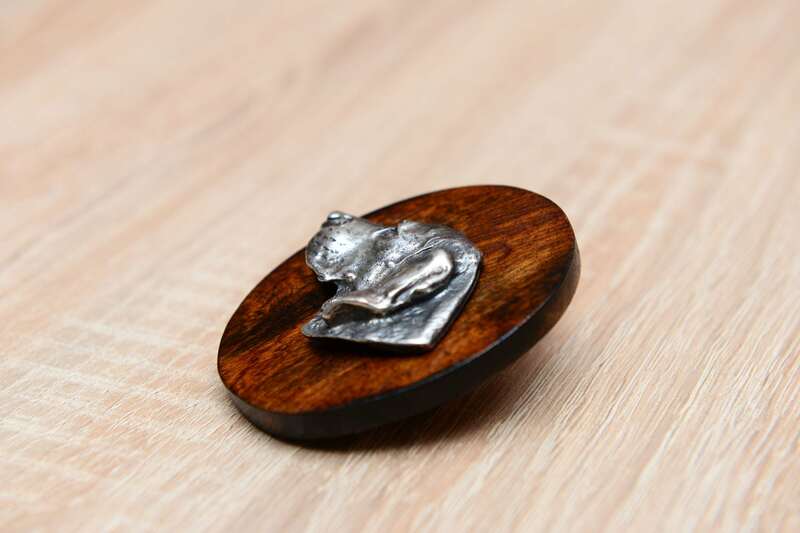 An exclusive clip is ideal for displays and shows. A relief comes from a noted collection ARTDOG. 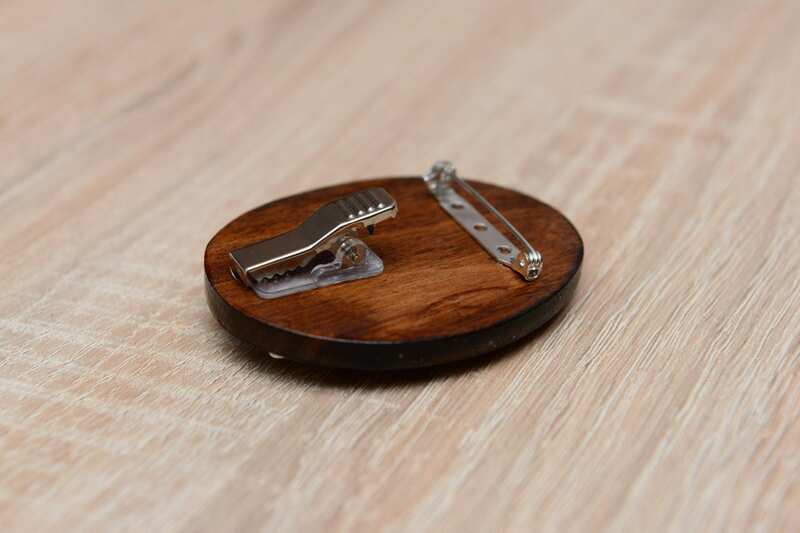 Solid fastener will enable a trouble-free clipping and carrying the starting number.